The thing about nerd hovels is that the their stereotypical image is of being dark, dank, messy and cluttered with crap. 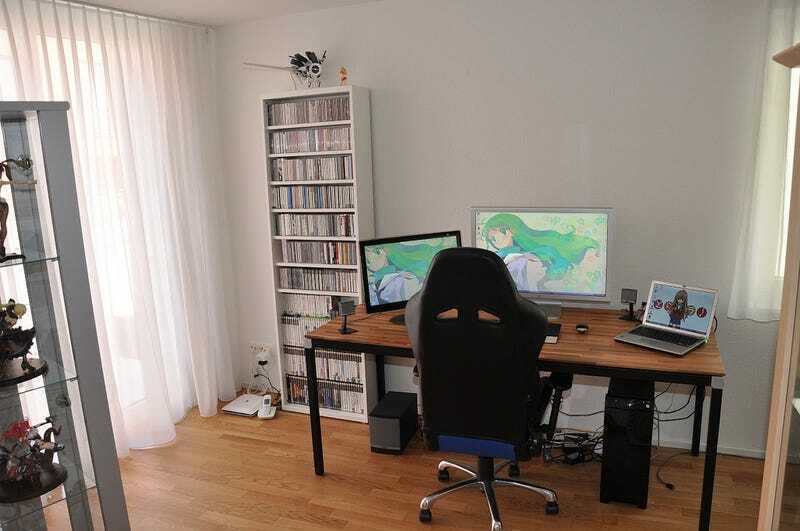 Swiss dude Melonpan's lair is anything but. It's breezy and bright and all his game controllers, comics and figures are neat and tidy and displayed with such care. More pictures of his going's on in the Flickr stream below.